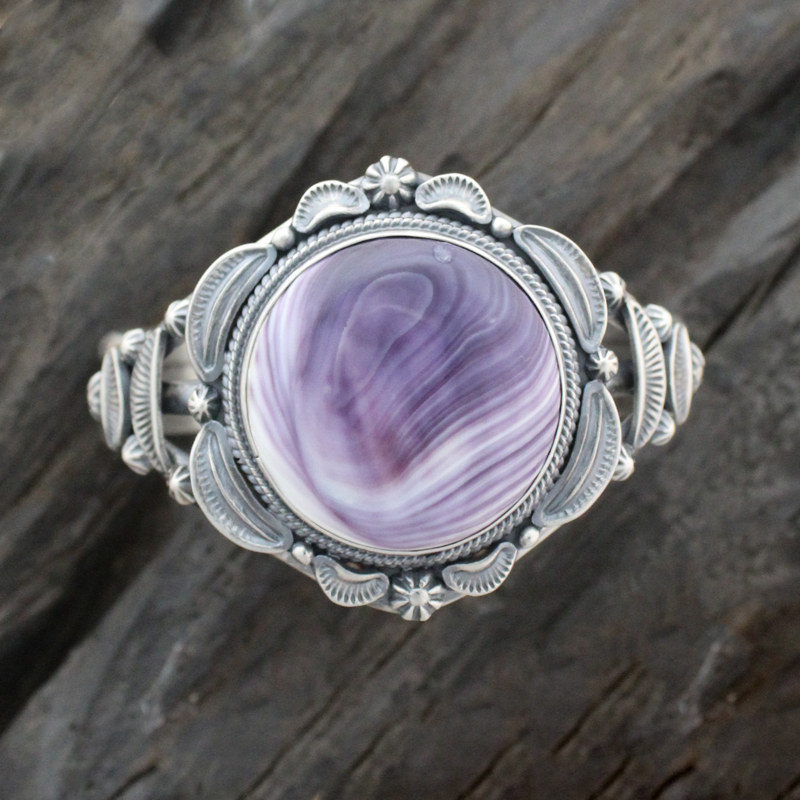 A large round Wampum cabochon is set in an antique style sterling silver bracelet. With beautiful stunning details. The center design of this bracelet cuff is 1 3/4 inch from top to bottom (measurements are from edge to edge, inclusing the silver design) and 1 1/2 inch across (left to right). 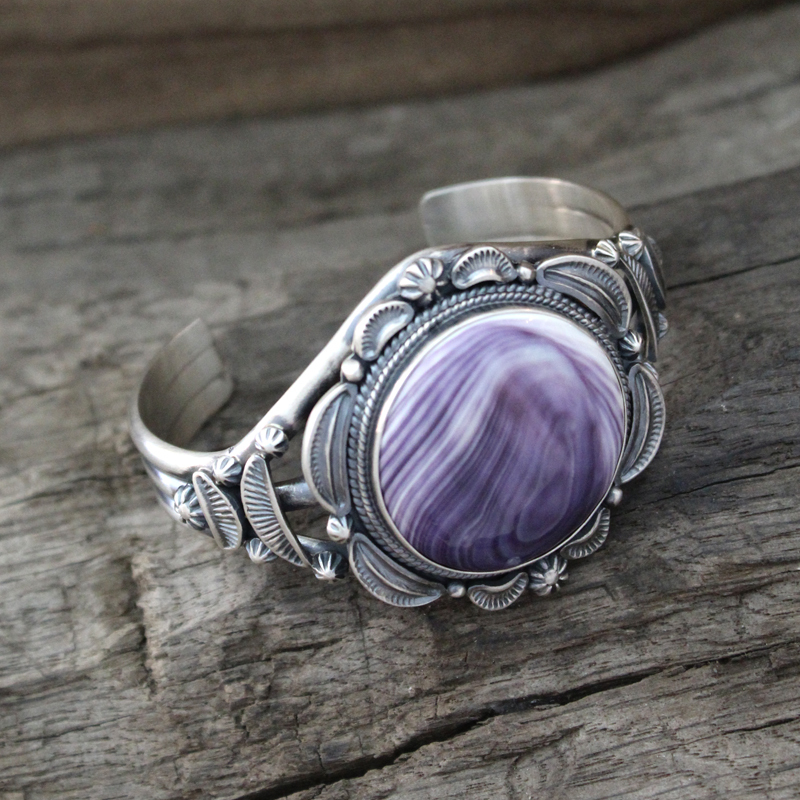 The cuff part around the wrist is 2 3/8 inch wide and 1 3/4 inch high. This part can be slightly adjusted. The heavy Sterling Silver cuff can also be custom fitted in our workshop (i.e. for a small wrist).